Ever feel like you're stuck in a Time roundabout? Hey look kids, Big Ben! Parliament! It's not your overly-active Whovian imagination, we have been showing the same DOCTOR WHO episodes for a while. And you'd better get yourself a big bowl of fish fingers and custard because we're going to be showing them for a while longer. We've arranged to purchase the rights to the newer episodes, but they're out of our reach for a while longer. The BBC gives BBC America (the cable network) first dibs. They get one year exclusive rights to the new DOCTOR WHO episodes before PBS stations are allowed to show them. So, we have a few options while we wait... We can show mini-marathons of The Red Green Show, start a "Lawrence Welk: Polka After Dark" series, or we can keep watching the wonderful DOCTOR WHO episodes that we currently have. It's part of my job to make that decision, and I choose to keep showing DOCTOR WHO on Friday nights. I have a feeling, since you are still reading this, you agree. This Friday night, we'll say hello to the Eleventh Doctor, again, for the first time. 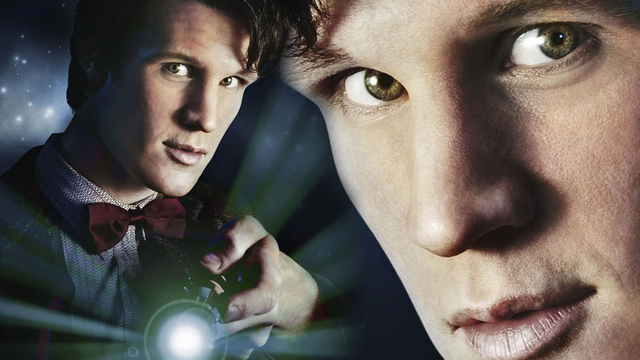 It's the premiere of Series 5 and the premiere of Matt Smith in "The Eleventh Hour." This episode hasn't aired on OETA since 2012. We'll meet Amelia and Rory and the terrifying Prisoner Zero (oh, the teeth!). It's Steven Moffatt's first episode as Lead Writer and Executive Producer. Heck, even the theme song got a makeover! Sidenote: David Tennant fans, I know how you get when someone speaks highly of Matt Smith, but don't get too riled up. You'll get to see your beloved 10th Doctor when he portrays a talented lawyer in the "The Escape Artist" in this summer's MASTERPIECE MYSTERY series. I'm definitely looking forward to that! The bottom line... The last two Matt Smith episodes ("The Day of the Doctor" and "The Time of the Doctor") aren't available to us (yet?). And the Peter Capaldi episodes haven't even been broadcast in the UK yet. So, it'll be a while. I'm thinking perhaps Fall 2015. Hey, it's just Time. Until then... Put on your bow tie, fry something (if you're Scottish) and enjoy the mad man with a box.